Yesterday I decided to do something a bit different. 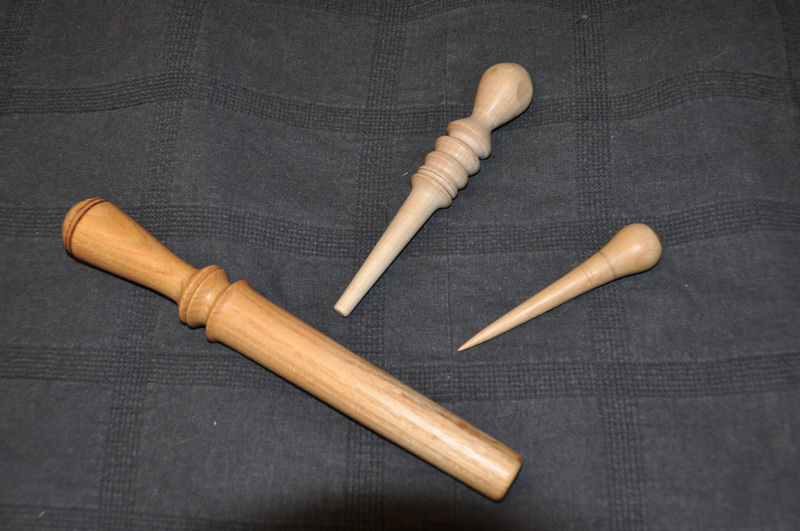 I worked on three small and fairly simple wood turnings. 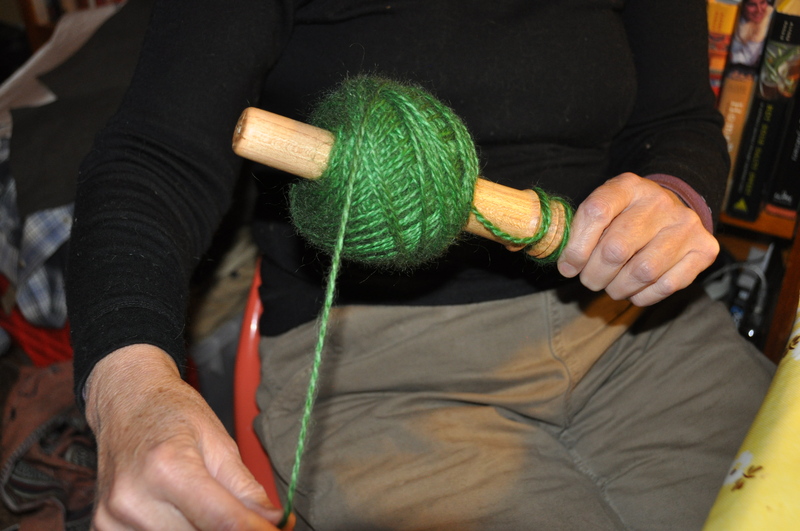 The smallest is a fid and is used in rope and cord work such as a splice making a loop in the end of a rope. Historically these were a common item on sailing ships often made from lignum Vitae, a very dense hardwood. They are made in a wide variety of sizes, this one is about 6″. Small ones are usually of steel and are called a marlin spike. The next larger piece is made of maple and is used to burnish the edges of leather. The different sizes of grooves are used for different thicknesses of leather. In use it is rubbed vigorously back and forth to smooth and polish the edges. The largest piece is a nostepinne. These are for making a ball of yarn and are remarkably efficient. I have been meaning to make one for Janet for several months. The photo below is her first ball wound this way. This entry was posted in Leather, Turning, Weaving on March 1, 2013 by John Switzer.